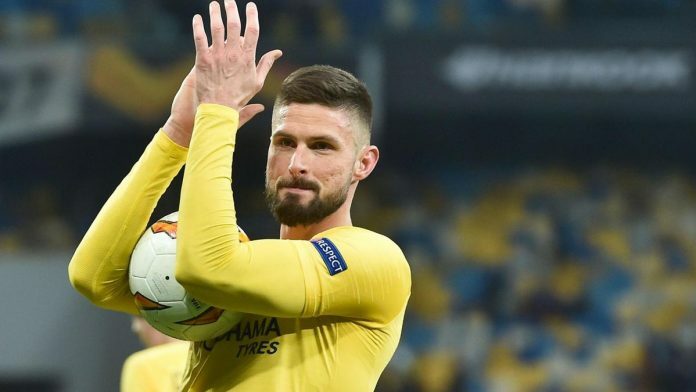 Chelsea striker Olivier Giroud wants to move back to France when his contract expires at the end of the season after growing frustrated by a lack of playing time under manager Maurizio Sarri. The 32-year-old has been used mainly in the Europa League by Sarri and is the competition’s top scorer this season with nine goals in nine appearances, but does not believe he can force his way into the Italian coach’s Premier League plans. “Today, I have the impression there’s clearly no competition (for places in attack) since January. It’s like that, I know that I will only play in the Europa League,” Giroud added. Sarri’s side could also secure Champions League football for next season by winning the Europa League, where they face Slavia Prague in the quarter-finals.